Singularity is a notion that has different definitions in the various fields of science, nonetheless, it retains a common axis regarding its main idea. In mathematics, it is the point where a function or an equation degenerates or diverges toward infinity, changing its nature and thus becoming impossible to define. In physics, it is the core of a black hole as well as the state right before the Big Bang, the zero point of space and time where everything is compressed in zero dimensions and density is infinite. In mechanics, it is the calibration of a machine in a way that its behaviour cannot be predicted and the physical variants involved are either not definite or infinite. In technology, it is a scenario where artificial intelligence surpasses humanity, the technological boom becomes infinite and the outcome is unpredictable. 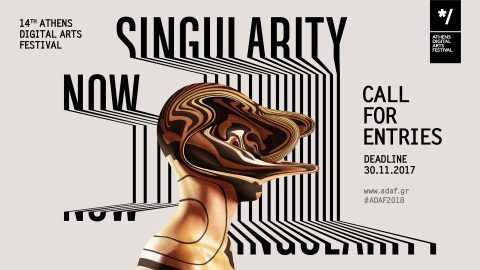 Is evident that singularity as notion is associated with infinity, with the unknown, and the beginning of universes, both physical and conceptual, but how does it link to art and technology? Every universe launches its existence in subject to time, while the perception of time is by birth connected to creation and technicality. In the Promethean myth, we can perceive as singularity the gesture of the maker to offer fire to the humankind, passing thusly the torch of knowledge to the creation and enabling it to create on its own. As a consequence comes torment for the creator, but also time emerges in the form of a circular punishment considered one of the first references to the circle of a clock. Additionally, fire, which symbolizes simultaneously both intellect and technicality, was the first medium for the development of all “tekhne”. Its arrival in humanity, signifies the beginning of consciousness, thus consequently the perception of time as well as the development of art (fine tehkne) and technology (the art of making) which resulted in civilization and culture, both means for recording time. In this way, technology and art as derivatives of singularity and instruments of time, have proclaimed the beginning of this world, but maybe also its very end.